Also check Settlers & Early Arrivals for more residents. 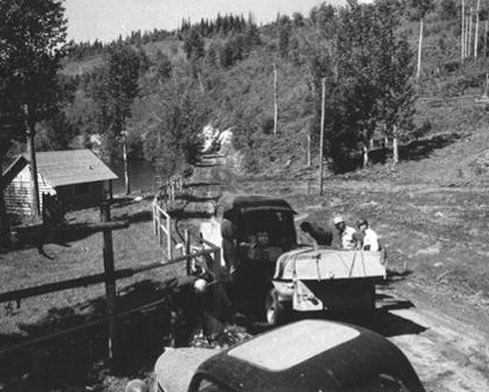 This is the "old" Store and Gas Station at Nora Lee (Francois Lake). In foreground is Forrest Moore, owner & proprieter. 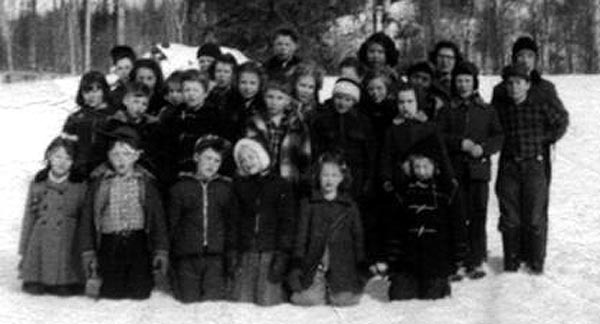 Noralee School children in spring 1956. 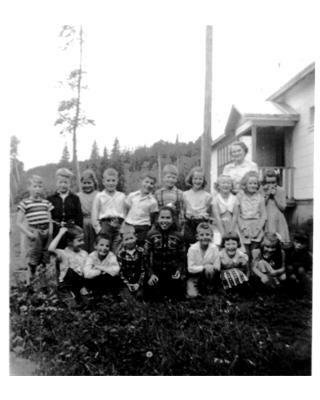 Doris Carleton was the school teacher. 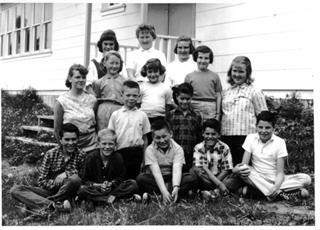 Noralee School children in late 1950's. Bits and Pieces . 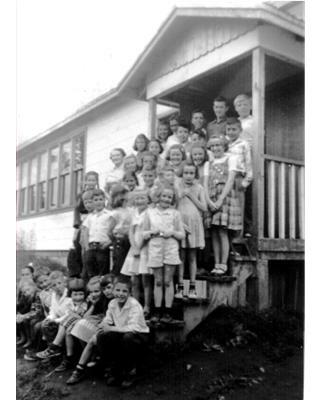 . .
Named after Nora & Lee Newgard, the first postmasters of Noralee. 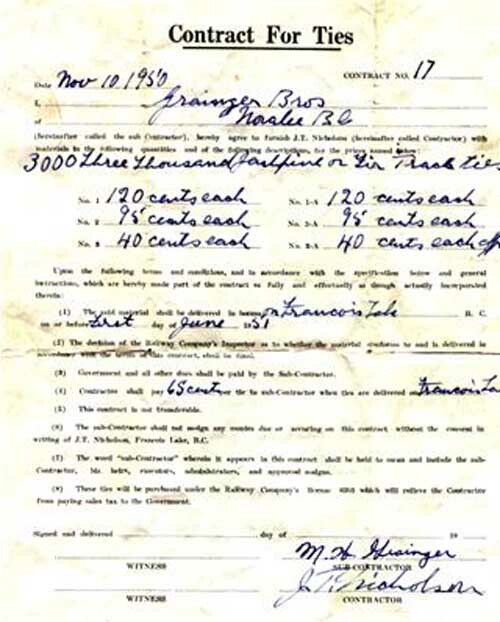 During the early years Grainger Bros supplied logs and railroad ties to the Nicholson Sawmill located three miles west of the ferry landing. Contract For Ties. NOTE: These names were collected from various sources. The list should in no way be considered complete and accurate. 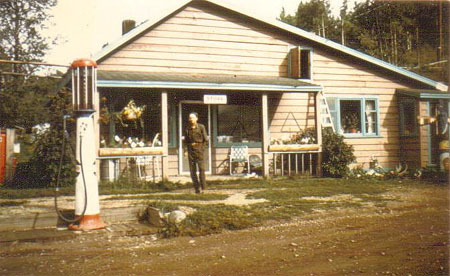 Noralee Post Office: office opened July 16, 1937 and closed August 3, 1967. Over the years there were 9 postmasters.